Want To Become A Patron? Here’s What’s In It For You. 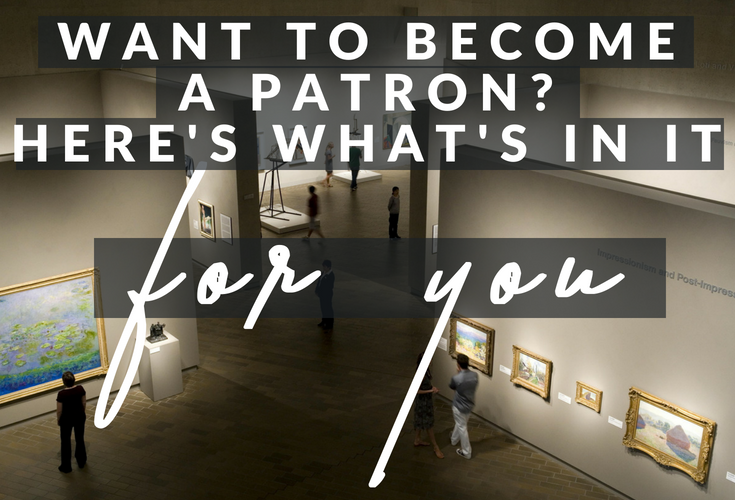 How can you become a patron of the arts, even if you aren’t wealthy? Most of us will have heard of artist’s patrons – we think of those rich aristocrats who made it possible for artists to earn a living from their artwork, weaving their way into art history in the process. 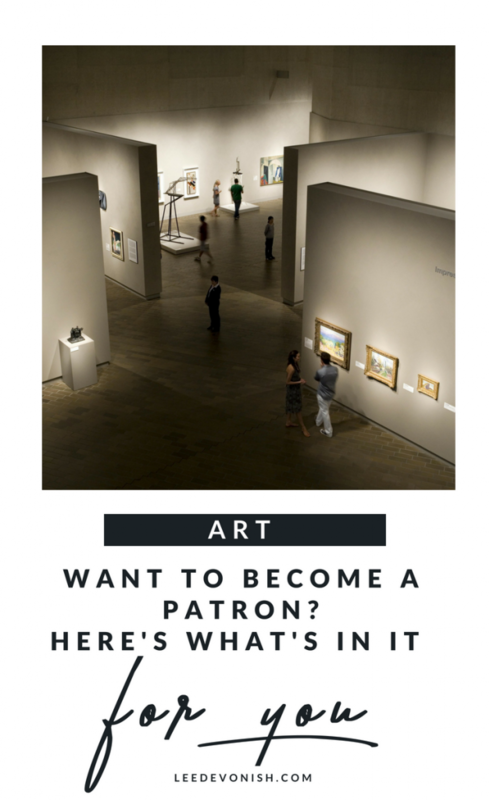 In recent years the role of patron has been passed on to those who may not be aristocracy, but are usually still rather wealthy… after all, it’s hard to gain traction as a serious art collector if you can’t afford to collect art. Does this mean that the average joe can’t gain the benefits of becoming a patron? And why would anyone want to become a patron anyway? What does a patron get out of the arrangement? Anyone who wants to become a patron of the arts has to ask two things: what will it cost, and what do I get out of it? Regardless of personal wealth, everyone has to weigh up the cost-benefit analysis to see if a venture or a partnership is worth getting into. Becoming an art patron is a kind of investment, and every investor hopes to see good returns. For individual patrons, there will be benefits such as receiving artwork or memorabilia that in itself may well appreciate in value (getting in at the ground level), as well as receiving public acknowledgement of support (so your friends will know how fancy and generous you are). The level of engagement and reciprocity involved in being an artist’s patron means you’re a step up from being a fan; you’re part of the picture. Fancy supporting me on Patreon? Of course, I’d love to have your support, as the benefits to me as an artist are obvious: being able to invest more money into the materials I need for my ongoing practice, like paints, brushes, frames, printing equipment and more… but why should you want to support me? I’ve put together 6 tiers of patronage, starting at just $1 per month going all the way up to $100. At each level I’ve tried to make it well worth your while (and your investment), so here’s what you’ll get from being my patron. Your name and/or your business name featured on my website’s patrons page, with a link to your own website included from the second tier. Your name and/or your business name featured in my monthly newsletter, with a link to your own website included from the second tier. A special discount on any work in my store – either 1%, 5%, 10%, 15% or 20% depending on your tier of patronage. A digital “thank you” download on the first tiers, followed by a personalised download on the highest tier. A monthly postcard on selected tiers. A monthly A4 print on selected tiers. An original drawing on the highest tier. Special access to commissions and work in progress updates. I’ve always got big ideas for projects, but right now I’ve got several on the go which will be of particular interest to you. Foreign Exchange is a project that I’ve been mulling over since 2014. I’m in the process of making my own money – an artist’s currency that functions as both a unique artwork and as a means of exchange. This project changes the nature of the artist-buyer relationship, because even when I’m “selling” my money, it will still be available for exchanging. What this means is that if you buy a piece of my money artwork, I will exchange it for British pounds in the future… just like you’d exchange foreign currency after returning from a holiday. As my patron you’ll be able to access a 1:1 exchange rate, whereas my currency exchanged to the general public will be offered at an exchange rate of 1:2. Foreign Exchange also encompasses a series of embellished cheques which are, of course, customised with your required value as well as your name. My online course for artists will be launching in the new year. This course will teach principles of personal financial management combined with tools for enhancing your artist’s practice. Find out more at artandmoney.co.uk. Discounted (or free) access to the course depending on patronage tier, as well as your name/business name acknowledged in the course workbook. Why your business should become my patron, and how to do it. 1 – It’s great PR! Supporting an artist enhances your brand’s image. Your company or client will be known as a patron of the arts, and being an individual artist’s patron carries a lot of credibility. My patrons are mentioned on my site, and depending on level of support, receive a link back to their website. This is a fantastic way to network with other like-minded businesses and individuals, and point back to your brand. Patronage is fantastic advertising for your company. As well as acknowledgement on my website and in my newsletter, I will promote my patrons page on my social media channels. With artists who blog there is also the option to commission sponsored posts or directly support an individual post or page – get in touch for a sponsorship pack. Being an artist’s patron gives you a pretty amazing feeling! You may not be as wealthy as a Medici, but even a small recurring contribution makes a difference to an artist. Imagine being able to call yourself a patron of the arts! 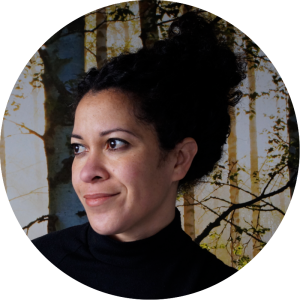 If you’ve read this over and you’re convinced of the benefits of becoming an artist’s patron, head over to Patreon and have a look at my options – I’m sure you’ll find one to suit you! P.S. if you’re an artist, writer or blogger, why not try Patreon for your promoting and supporting your own work?